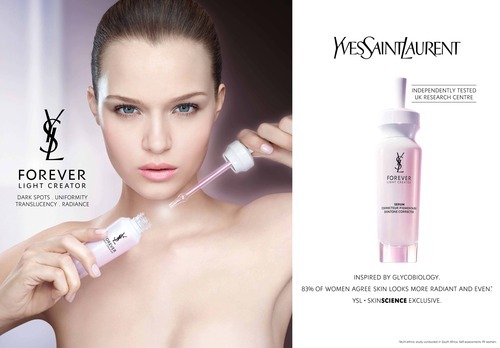 Splashdown designed a complete merchandising programme to support the launch of YSL’s newest super serum, Forever Light Creator. Incorporating a scientific model image and product shot, limited text was applied to maintain a clean, functional approach to the launch messaging. Applied at point of sale collateral, launch sites, on-line designs and customer communication tools to highlight this skin science exclusive.